St. Peter, Minn. – The 2013 Capital One Academic All-District Women’s Track & Field/Cross Country Teams, selected by the College Sports Information Directors of America, has been released to recognize the nation’s top student-athletes for their combined performances athletically and in the classroom. Representing Gustavus Adolphus College on this year’s Academic All-District First Team for District Six are seniors Beth Hauer (Little Falls, Minn.) and Allyson Voss (Wausau, Wis.). Beth Hauer earns CoSIDA Academic All-District honors for the first time this season. A four-year staple of both the Gustavus cross country and track and field teams, Hauer concluded her athletic career wearing the three crowns with one of the finest school years of her tenure on the hill. 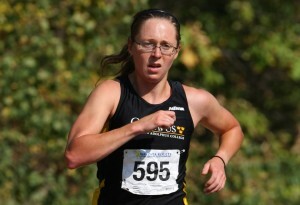 The senior captained the Gusties to an MIAC Cross Country Championship last fall, the program’s first MIAC title since 2003. Beth posted a career-best 12th place finish at the MIAC Championships (23:01.9), and finished a career-best 16th at the NCAA Central Region Championships (23:00.5). She closed out her cross country career with a team-leading 56th (22:24.5) place finish at the NCAA Championships. Hauer will graduate a three-time All-Conference and three-time All-Region performer. Hauer’s success in sport translated to the classroom where she will earn a degree in music education. With a cumulative grade point average of 3.96, Hauer was also awarded a prestigious NCAA Postgraduate Scholarship following her cross country season – one of 29 females from across all divisions of the NCAA to earn such an honor. Taking home Academic All-District recognition for the second time in her career is the most decorated pole vault specialist in the history of the Gustavus women’s track and field program – Ally Voss. 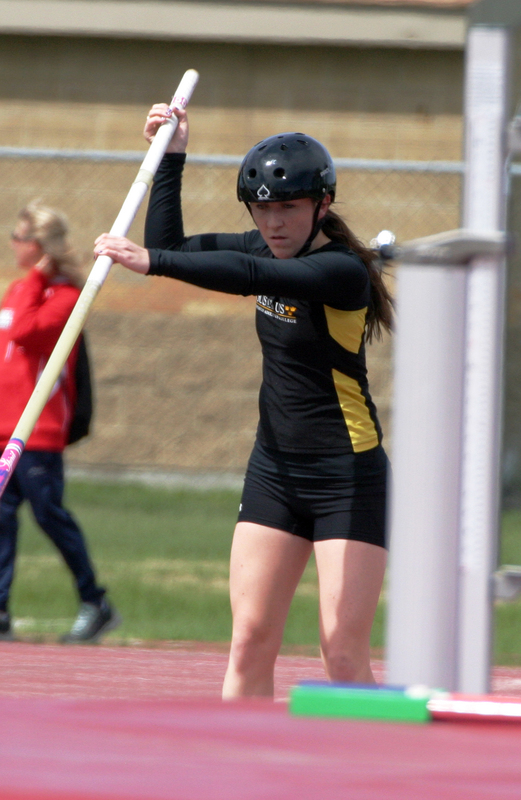 It is safe to say that Ally Voss re-wrote the Gustavus record books in the pole vault over her four-year career in Black and Gold. This season, Voss took gold at both the MIAC Indoor Championships with a height of 12-feet 4.5-inches and MIAC Outdoor Championships with a height of 12-feet 5.5-inches. As a junior at the 2012 NCAA Outdoor Track and Field Championships, she became the school’s first All-American in the pole vault with a seventh place finish (12-feet 7.50-inches). A three-time All-Conference performer at the indoor championships and a four-time All-Conference performer at the outdoor championships, Voss is the first Gustavus pole vaulter to win two MIAC indoor and two MIAC outdoor titles. She will graduate with ownership of the indoor school record and MIAC meet record (12′ 4.5″) and outdoor school record (12’ 7.5”) and MIAC meet record (12’ 5.5”). A standout in the classroom, Voss carries a cumulative grade point average of 3.94 as a double major in Spanish and sociology and anthropology. Like her teammate Beth Hauer, she was also awarded an NCAA Postgraduate Scholarship – one of 29 winter sport athletes from across the country to do so. Hauer and Voss are two of four female athletes from the Minnesota Intercollegiate Athletic Conference (MIAC) to earn a place on the All-District Six Team. Becky Culp of Hamline and Kaari Jensen of Concordia also earned a spot on the list of ten recipients.